Congratulations to the first contributors in the 2018 Fine Arts Lesson Design T4-A Project! 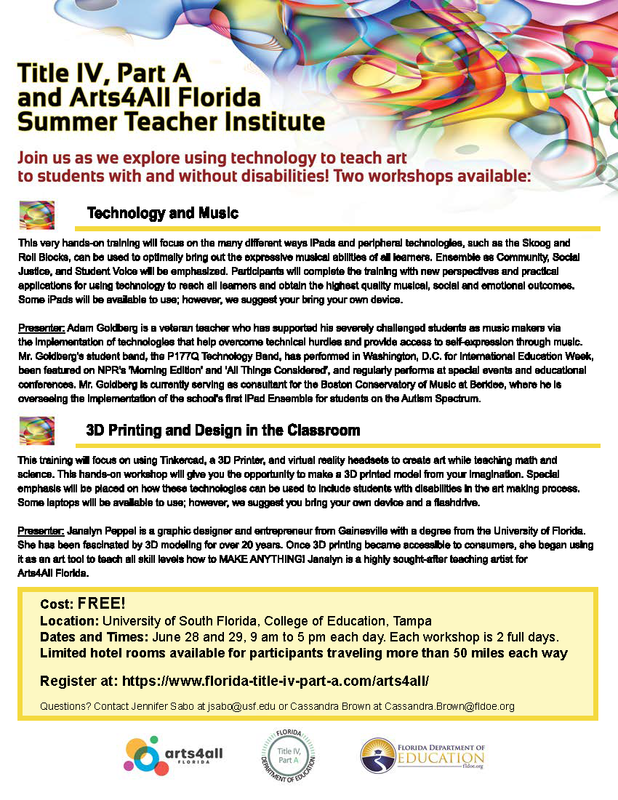 Opportunity provided through Title IV, Part A for Florida fine arts teachers to be awarded funds to attend their respective state level professional development conference (FDEO, FMEA, FATE, and FAEA). Teachers selected will create an original lesson plan resource for CPALMS and adhere to all submission guidelines. VSA Florida (VSAFL) - The State Organization on Arts and Disability provides, supports and champions arts education and cultural experiences for and by people with disabilities.